A study recently conducted in Washington state concluded that drivers who are convicted of driving under the influence of alcohol (DUI) should have ignition interlock devices installed on their vehicles to prevent a second incident from occurring, even if the DUI conviction was the driver’s first brush with the law, according to an article from the Insurance Institute for Highway Safety (IIHS). Currently, New Hampshire ignition interlock devices aren’t required for persons receiving their first DUI if their blood alcohol concentration (BAC) was under 0.15 percent at the time of their arrest, as is the case in many other states. 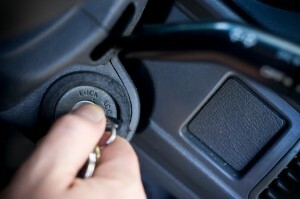 Drivers receiving a second or later DUI conviction, or motorists with a high BAC, may be required to have the device installed in their vehicles, however. The researchers in Washington, however, found that when first-time DUI receivers had ignition interlock devices installed on their vehicles, the chances that they would be arrested for a second DUI were cut in half. Based on this data, some officials are recommending ignition interlock devices be required for anyone who has been convicted of drunk driving. If this recommendation becomes law, it will create an additional burden on those already facing stiff consequences for a DUI conviction. If you’re facing an NH DWI charge, you need a knowledgeable New Hampshire DUI defense attorney on your side to protect your rights and fight for the best possible outcome in your case. At Tenn And Tenn, P.A., our attorneys are dedicated to building an aggressive defense for each client we represent. To learn more, call us today at (603) 624-0390 for a free and confidential telephone consultation.